As companies spend increasingly more money on continuous improvement processes that add efficiency to the manufacturing processes and ensure product quality and integrity, they're also finding it useful to photograph these corporate brand attributes for marketing and corporate communications purposes. 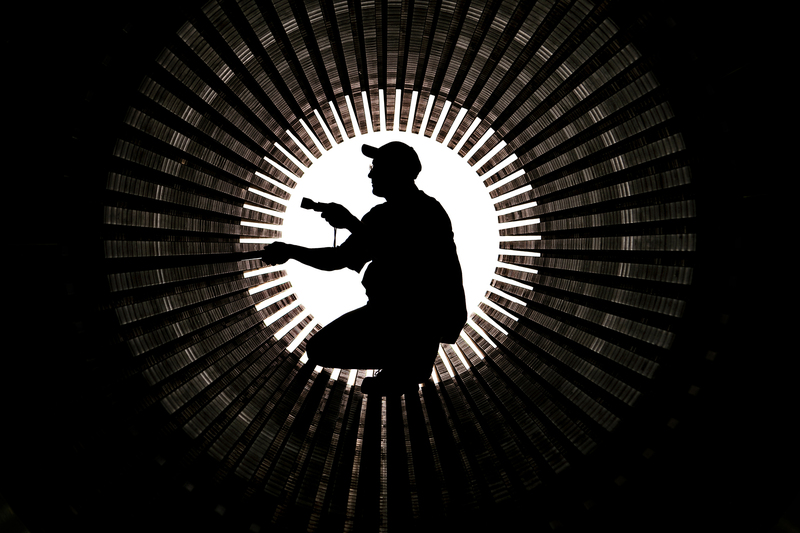 In this photo of an employee of Siemens Energy's Charlotte Turbine-Generator Center inspecting the inside of a stator core, it's easy for prospective turbine customers to visualize the best practices that set Siemens above competitors. Creating the photo in black and white and creating it as a silhouette adds variety to the photo shoot and gives designers more options.